If it seems like I'm writing a lot about the idea of "escaping London," well, it's because I am. As much as I love this city, I do believe it takes it out of you, should you find yourself present in this rat race 24 hours a day, 7 days a week. I firmly believe the human body is not meant to exist in such stressful conditions for extended periods of time. Everyone needs a break. The only problem is that time is always an issue. One can't always hop a plane and spend a week in the Caribbean at the drop of a hat. One can, however, jump on a train or scoot behind the wheel of a car and find solace in the beautiful countryside that surrounds London. From coast to country, I have made it my mission in 2016 to not only discover the pleasures of longer haul destinations, but to also focus in on the "easy wins." These are the hotels and resorts that are within driving distance of London. The last time I was in Bath, I was 14. The year was 1994. What a difference being a grown up makes. 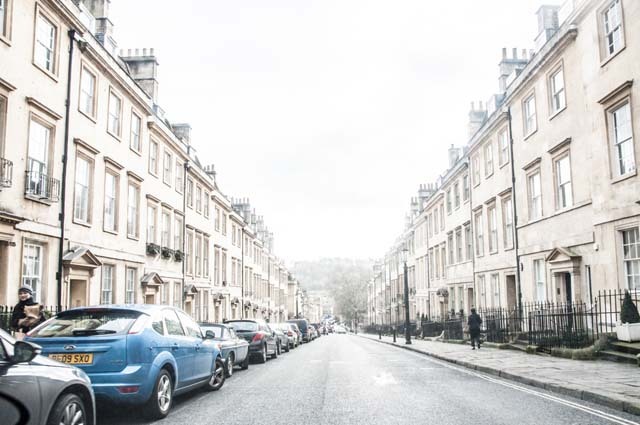 As a young girl I thought Bath was quintessentially British. It had a country charm and an architectural beauty like nothing I had seen before. 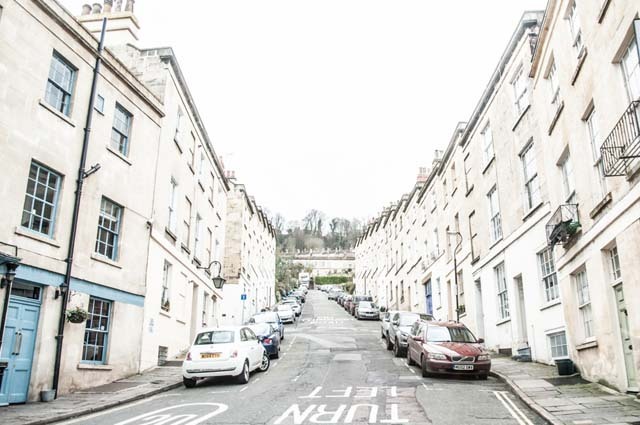 This charm and beauty remain fully intact, yet the city of Bath is truly a playground to be discovered as an adult. 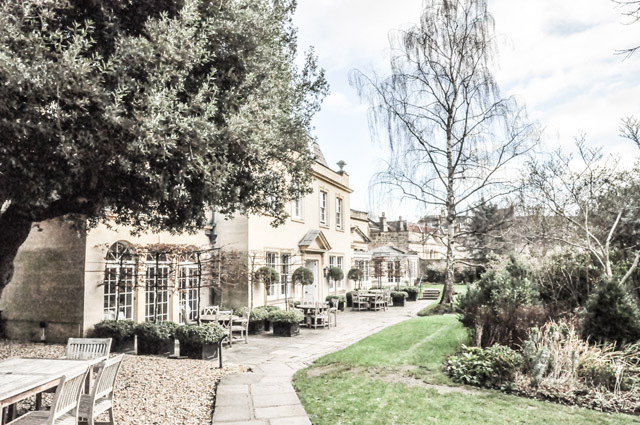 For my mission of discovery, I stayed in The Royal Crescent Hotel & Spa. As the name suggests, the hotel sits on a rather famous site. Seen as one of the most well known pieces of Georgian architecture, this is most certainly a historical destination. 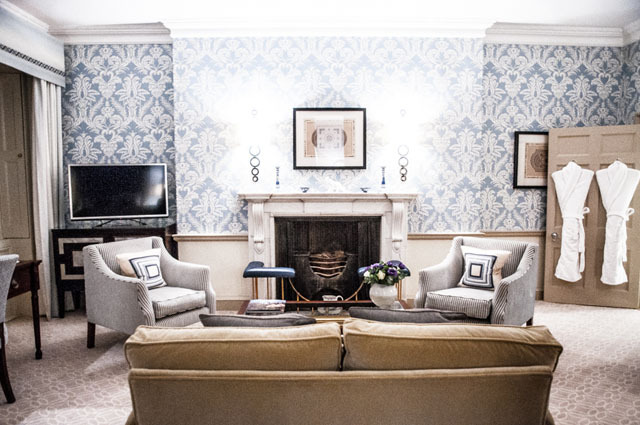 Coincidentally, while in residence at The Royal Crescent Hotel & Spa, I stayed in the John Wood suite - named after the architect who designed the Royal Crescent itself. 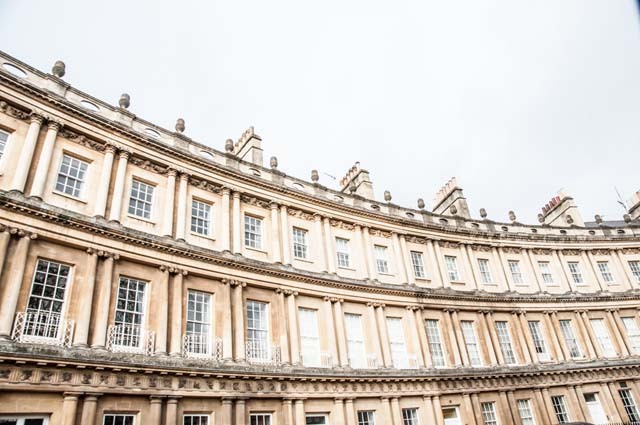 The Royal Crescent Hotel & Spa sits at number 16 on the Royal Crescent, in the largest of the 30 houses occupying the row. It is truly the heart and soul of the area. Stepping through these doors is like stepping into a time machine. 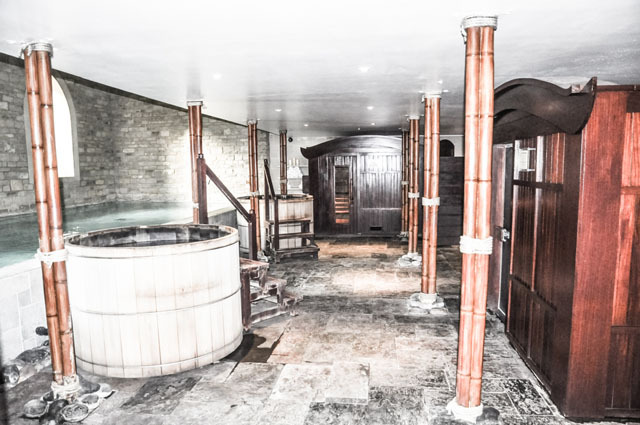 Now that's not to say that the Royal Crescent Hotel & Spa lacks anywhere in contemporary conveniences. 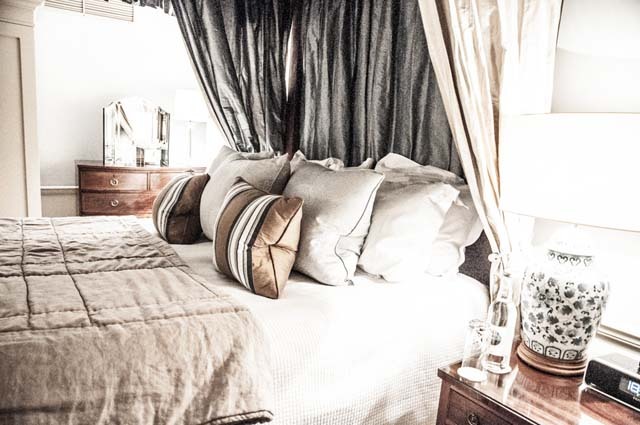 The rooms are all equipped with Nespresso machines, flat screen TVs and wi-fi. 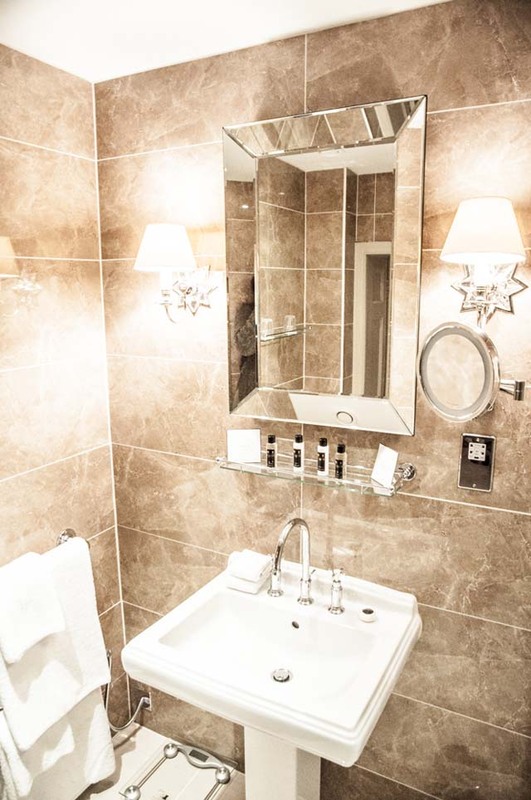 The linens are top notch and the bathrooms are heavenly. 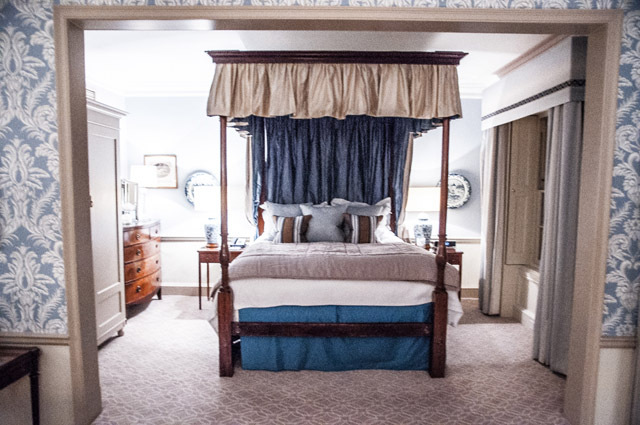 The four poster bed will throw you. Or if you're me, you'll throw yourself at the four poster bed. I have a weakness. This bed just happened to provide the best sleep I've had in weeks. 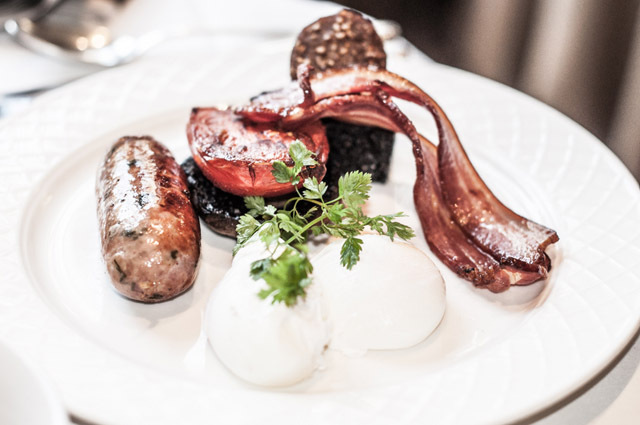 And while you'll be tempted to stay in bed all day and enjoy the beautiful view overlooking the hills of Bath, you'd be missing out on the treats that the hotel has in store for you on the grounds. 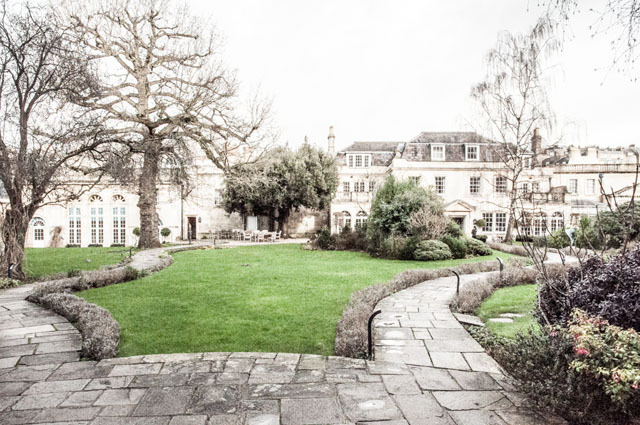 The backyard of the Royal Crescent Hotel & Spa is fairytale-like. 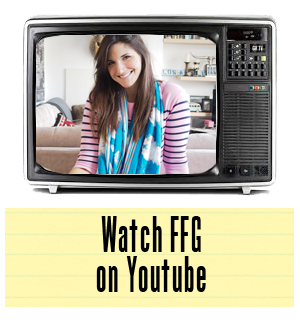 While this instantly popped into my head as the perfect description, my feelings were mirrored on instagram when I shared a picture and had dozens of replies stating exactly what was flowing through my mind at that moment. This is a scene from a Victorian fairytale. 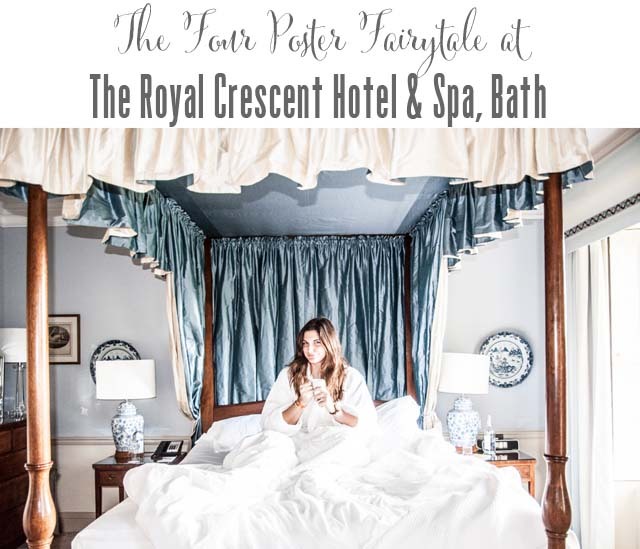 One could just see an illustrator sitting in the window of The Royal Crescent Hotel & Spa, sketching and taking notes as they are inspired in creating another world. 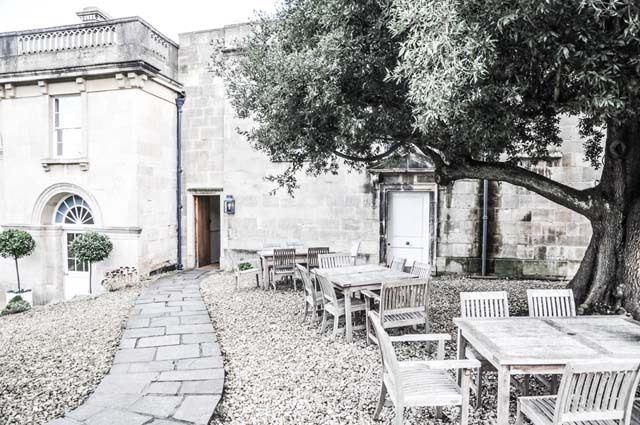 The two winding stone paths, which connect the buildings in this playground for adults and fairytale enthusiasts, lead to two areas that should most certainly be visited while you are in residence. Should you choose the path to the left, you will be taken to the Spa & Bath House. 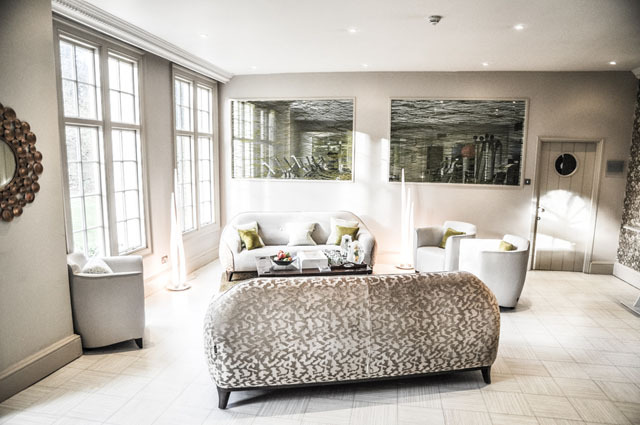 The spa utilises the ESPA range of beauty products and specializes in luxury treatments to truly spoil the body and spirit. If spa treatments aren't your game, you can work up a sweat in the gym or take a dip in one of three pools. I recommend the plunge pools- the ultimate in luxury. 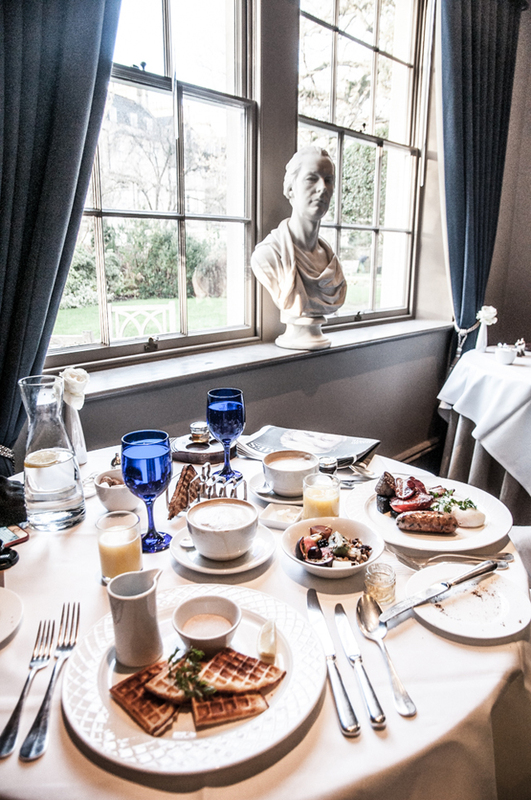 Now, should you, instead, take the path to right, you'll be led to my favorite part of the hotel - the Dower House restaurant. Any surprise there? The dinner, a of true indulgence, will be discussed separately. 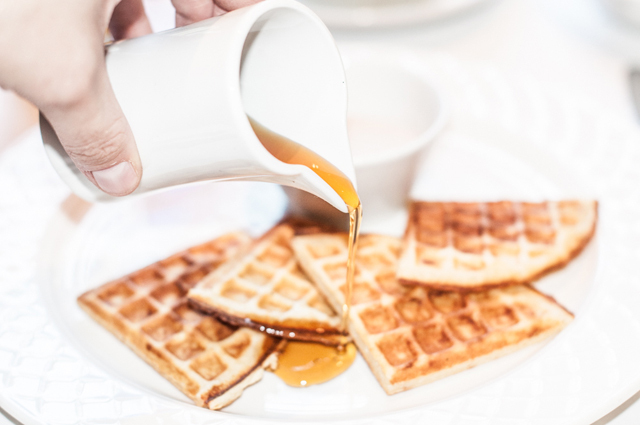 For hotel guests, breakfast is served in the restaurant and leaves one feeling very satisfied indeed. In fact, I do believe the staff are there to make sure you leave with no corner of your stomach untouched. I felt as if I would have to completely remove the buttons from my jeans upon swallowing my last bite of brekkie. 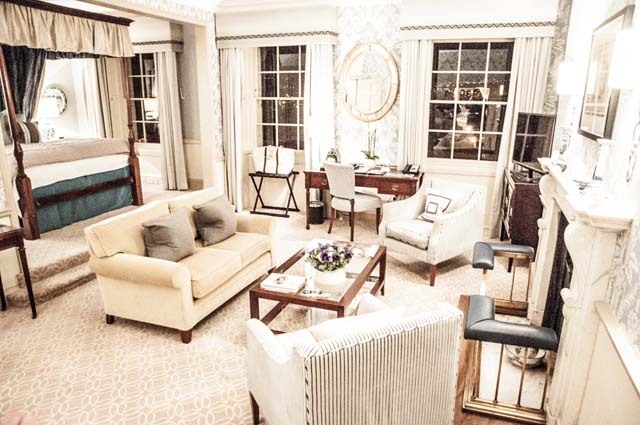 While 24 hours here is enough to reset your London clock, I'd highly recommend taking a full 48 hours to visit the city and enjoy all the facilities of the hotel. 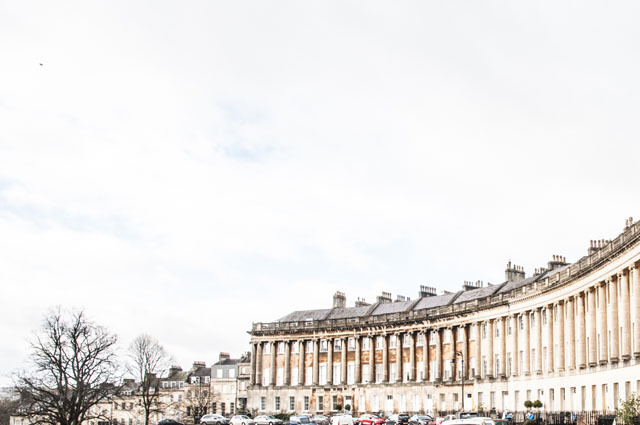 If you've never been to Bath before, I must say you couldn't be in better hands than with the staff at The Royal Crescent Hotel & Spa. They are all too eager to share points of interests for guests visiting the city for the first time. 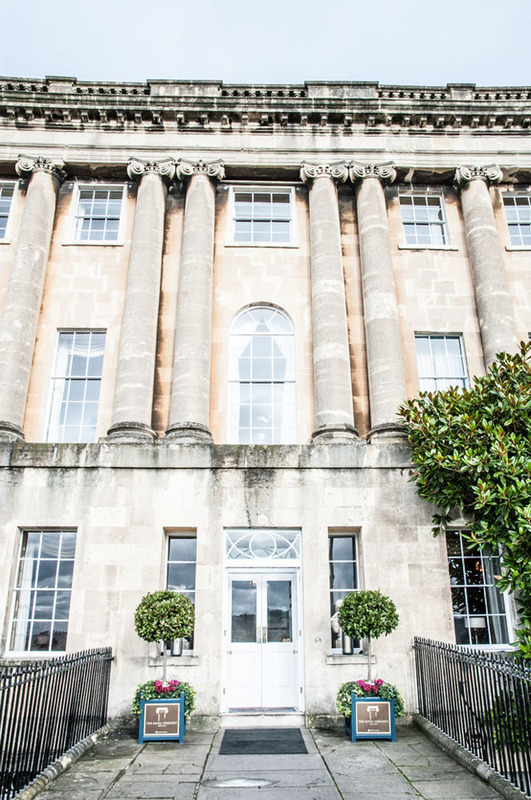 Take a look at all the pictures below to discover the magic of The Royal Crescent Hotel & Spa. 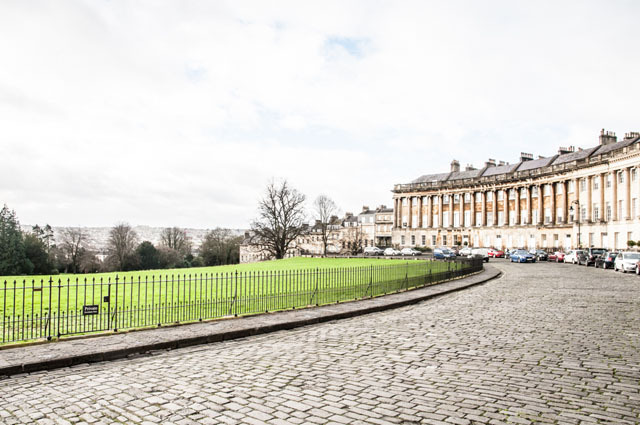 FFG was a guest of the The Royal Crescent Hotel & Spa in Bath.